My little girl has been begging me to make some gifts for all her friends. I wanted to to something they would really enjoy and something that didn't involve sweets. We had some Crayola modeling clay and I thought making little holiday play scenes would be a great and easy gift idea! The best part is my kids loved making them and it was a project they could do all by themselves without my help. All that was required for this gift was one pack of Crayola modeling clay and a little imagination! You could really make any sort of scene and do this for any holiday or birthday. We made several packs for friends and one pack each for my kiddos. We put them on a coffee table to display and they can move the snowmen around and play with them anytime they want. Inside the Crayola Modeling Clay box it shows you how to mix different color clay to make the colors you want. These will definitely be a great hit with all my little girls friends! . Want to make some great Crayola crafts with your kiddos? Be sure to check out the Crayola Pinterest page and the holiday page here. And don't forget to like Crayola on Facebook or follow on Twitter to stay up to date on everything Crayola! Do you have a Crayola craft project you want to share? Share your own Crayola holiday craft photos for potential inclusion on the Crayola “Holiday Crafts” Pinterest Board! *Just In Time For Christmas* Win A Cricut Expressions 2 Machine!! $200 Value!! Deck The Halls Giveaway: Win A Fresh Christmas Wreath!! Two Winners!! This giveaway is hosted by Mamas Spot - Prize Provided by Lynch Creek Farms. It's that time of year! When you start thinking about getting your home all decked out for the holidays, and we are going to help you out! 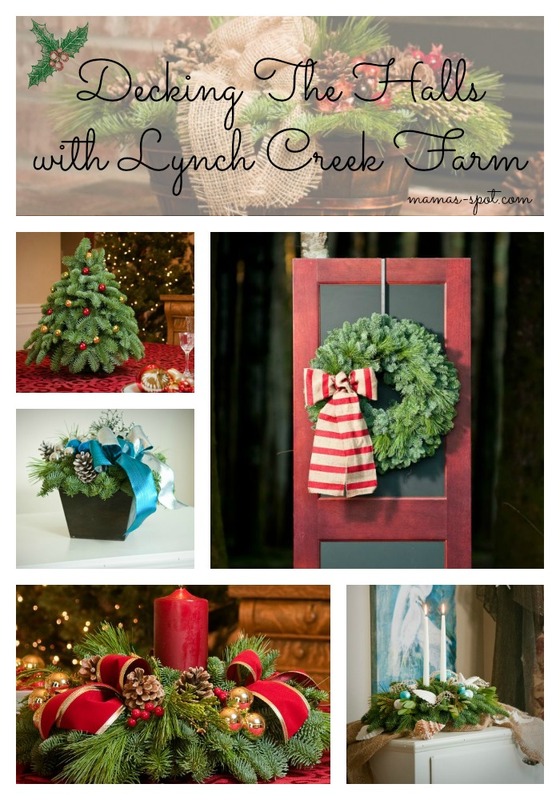 $50 to lynchcreekwreaths.com where they have amazing wreaths, centerpieces and more! With the $50 you will be able to chose anything on their site that you would love in your own home! You can check out a review of one of their wreaths and a centerpiece here. They smell and look amazing and you don't want to miss the chance for your very own! We would like to say a special thanks to, Lynch Creek Farms for sponsoring our giveaway event! Enter for your chance using the Rafflecopter form below. This giveaway will end Monday, 11/25 at 11:59 ET. Open to US residents 18+ and older.